The case of a black boy in Ohio who felt humiliated after being assigned to participate in a mock slave auction exposes a number of flaws in our education system. 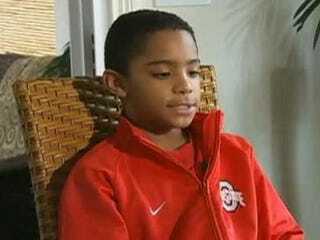 Nikko Burton's fifth-grade class in Columbus, Ohio, was divided into "masters and slaves" as part of a social studies lesson about slavery. The 10-year-old black student, who was put in the slave group, says that students playing the masters would "look in your mouth and feel your legs and stuff and see if you're strong." "His mom, understandably, was furious," according to the Daily News. " 'He felt degraded,' she told the television station. 'I feel like that was totally inappropriate; it was racist and it was degrading.' "
The lesson was insensitive at best; at worst, it was poor pedagogy, the all-too-common type of pedagogy that is condemning a generation of students. The "slave-master" lesson is what is referred to as "Crayola curriculum." Students spend blocks of time in exercises such as " … creating a map to illustrate the story's setting, make a game to show the story's theme, put together a collage from magazine photographs, or assemble a scrapbook or photograph album for the character." The problem with this kind of teaching, and the damage it can do to children like Nikko, goes far beyond the humiliation he experienced in the slave-master exercise. Although students may have different learning styles, we must focus on teaching children like Nikko to write, to express themselves and to convince others if they are going to graduate and succeed in the workplace. "Soft" lessons are a copout. Why aren't we asking students to read, discuss or write analytically in every class, every day? Insufficient emphasis on literacy is one of the reasons a typical black boy student in Nikko's home state of Ohio has, at best, a four-in-10 chance of graduating from high school. According to Yes We Can: The Schott 50 State Report on Public Education and Black Males, the Ohioan black male high school graduation rate for the 2007-2008 school year was 41 percent, while the white male rate was 78 percent. Overall, only 56 percent of black students in Ohio graduate from high school within four years, while 84 percent of whites graduate within the same time frame. Also to blame are state and local attacks on teachers, which could impede Nikko's chances of getting out of high school, as well as federal education policy. States are attacking teacher labor agreements. In Wisconsin the governor is attempting to eliminate collective bargaining, while the New Jersey governor lashes out at teachers and their union whenever he can. In Ohio the legislature has sharply reduced teachers' collective-bargaining rights. Teacher layoffs are spreading across the country, from New York City to Los Angeles. Meanwhile, Washington argues that having more testing, getting rid of "bad" teachers, establishing more charter schools and paying teachers based on pupil performance will upgrade teaching and learning — claims made with barely a scintilla of evidence. Also crucial to the success of black boys like Nikko is having black male teachers as role models and mentors. "Black males represent 6 percent of the U.S. population, yet 35 percent of the prison population and less than 2 percent of teachers," said Secretary of Education Arne Duncan, pleading for black men to enter teaching during a town hall meeting at Morehouse College. Yet it's worth asking why a black man should become a teacher in this environment. It's also worth noting that while the slave-master experiment should not have happened, it tackled a topic that we must not avoid. We must confront controversial topics in school curricula, whether they are the evils of slavery or hunger or homophobia. And if a boy like Nikko is going to graduate and go on to college, he must be challenged, and he must learn to write persuasive essays, to analyze text, and to defend and argue for his beliefs. Nikko, watch this three-minute YouTube video and listen to the actress Alice Walker read an 1851 speech by Sojourner Truth, the abolitionist who spent part of her life enslaved. Listen carefully, and write a few sentences about the speech. Nikko, your assignment is to react to this quote by Frederick Douglass, a freed slave who worked to free all slaves. Look up the words you don't know. "If there is no struggle, there is no progress. Those who profess to favor freedom, and deprecate agitation, are men who want crops without plowing up the ground, they want rain without thunder and lightning." What is Mr. Douglass trying to say? Do you agree with him? Why? Nikko might say, "Mr. G, this is really hard." If he does, then you know you're doing your job. Peter Goodman has taught in a Brooklyn, N.Y., high school, served on his union's executive board and taught education at the New School University. He now works as a consultant in the design and support of new high schools and writes a blog, Ed in the Apple: The Intersection of Education and Politics.